With the all-important first night under his belt, Colton Underwood is ready to continue his search for love on The Bachelor 2019. This week, Colton gets star-studded advice from Megan Mullally and Nick Offerman while some of Colton's bachelorettes share personal stories. Later, the hilarious Billy Eichner gives the Bachelor some wisdom while they host "Camp Bachelor," featuring classic summer contests like a tug-of-war. It doesn't take long for things to get heated, as tensions between the women flare up, and Colton himself notes that his awkward 1-on-1 Date wasn't going the way he'd hoped. Will the two pageant queens be at each other's throats? Will everyone else be at Demi's throat? You can watch The Bachelor season 23, episode 2 right here on ABC.com or in the ABC app, or read on for highlights and spoilers to find out who went home on The Bachelor! As you can see, her stunt probably didn't make her any friends in the house. Tracy definitely didn't seem to appreciate it. Despite her confident approach, Demi didn't receive the Group Date Rose there—Elyse did. Miss Alabama Hannah B had herself a rollercoaster of an episode with plenty of good news and bad news. Bad news: It goes pretty terribly, with Colton expressing regret at one point. Good news: She gets things back on track by sharing her nerves and opening up to Colton, and receives a rose for her trouble. Colton seems to really like both Hannah B and Caelynn, so the dynamic between these two women promises to be interesting as the season progresses. Colton and this group of ladies had a cookout, played a few games, and then it was time to get serious: The women were split into two teams to compete in a three-legged race, a tug of war, and other camp-themed challenges. The winning team stays overnight with Colton; the losing team goes home. Colton handles it pretty gracefully, and Heather seems happy with the outcome of that conversation. Naturally, Colton had to say goodbye to a few women this week, and after the cocktail party had ended, and the roses were handed out, Colton decided that he didn't have the connection with Alex B, Angelique, Annie, and Erika. 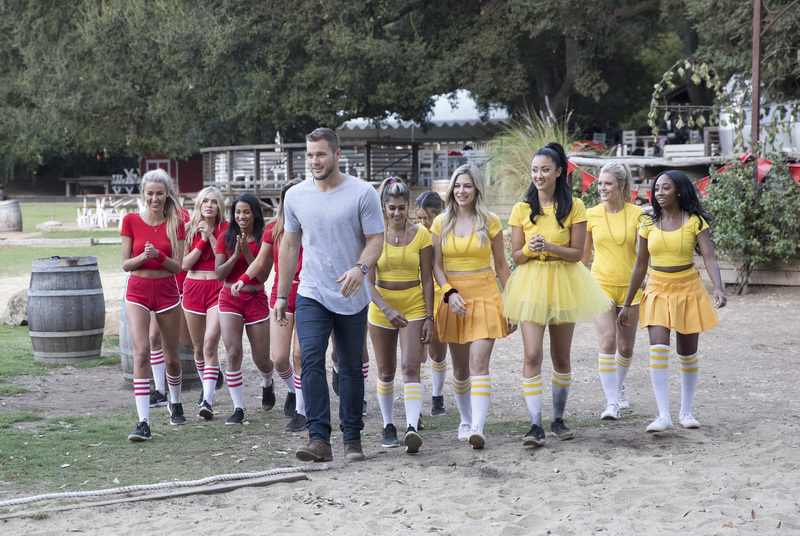 So after two episodes, Colton has narrowed the field from 30 bachelorettes to 19. As the relationships get more intense, so too does the drama. Don't miss The Bachelor MONDAYS 8|7c on ABC!